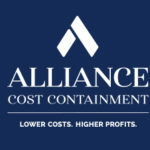 Alliance Cost Containment Unveils New Logo and Corporate Identity – Alliance Cost Containment – Lower Costs. Higher Profits. The new design elevates the company’s brand, and reflects the progress and evolution of the business. It also builds on ACC’s position as an industry leader and their expertise in delivering cost reduction and profit improvement for clients. The new look and tagline allow for improved clarity of an engagement with ACC, a company that generates significant cost savings in more than 35 common, indirect expense categories. Collectively, these expenses can amount to as much as 15% of a company’s revenue. The update communicates ACC’s strength as an industry leader in cost reduction services and implies its steadfast promises to clients: impressive, sustainable savings with complete transparency. The updated Alliance Cost Containment website and revised communication materials will be rolled out in the coming weeks.